The bicycle market in Canada remains in good shape in spite of the effects of the global financial difficulties and recession which have plagued many other industries since the last quarter of 2008. Canada has not suffered from the recession as badly as the United States where unemployment is still a major economic factor, but Canada has been affected by the problems suffered by the USA. WANITOBA, Canada – The bicycle market in Canada remains in good shape in spite of the effects of the global financial difficulties and recession which have plagued many other industries since the last quarter of 2008. Canada has not suffered from the recession as badly as the United States where unemployment is still a major economic factor, but Canada has been affected by the problems suffered by the USA. 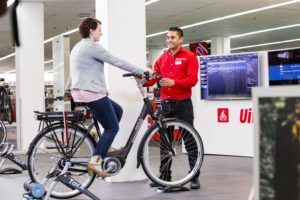 There have been changes in the business, but bicycle sales remain strong for companies which have adjusted to the changing times. Bicycles and cycling are enjoying an unprecedented amount of publicity in the media as the public are urged to ride a bike to work for fitness and to reduce traffic congestion in the cities, to ride a sponsored bicycle tour to raise money for cancer care, funding for a new sports complex, and for many other charitable organizations. Bicycle paths are being built or extended in many of our cities; to not only encourage cycling, but also as Federal and Provincial Government “make work” schemes. Bicycle sales are still shared between the mass merchants, general sports stores, and specialized IBDs. 75% of unit sales is being made through stores such as Canadian Tire Corp, Wal-Mart, Zellers, and a variety of sporting goods chains. The Canadian bicycle market stands at a volume of about 1.3 million units. Mass merchants have their emphasis on selling a large number of units from spring and through the summer, as the summer ends bikes are put on sale to clear them out to make room for other goods. The sports stores carry all kinds of sporting goods from ice skates to bicycles, but a large part of the store remains dedicated to all kinds of sports clothing and shoes. Of the mass merchants the two most significant players are Wal-Mart and Canadian Tire, these two giant outlets have battled for the bicycle market for several years, often carrying the same bicycles and using low prices to entice customers into their stores in the hope that they will become loyal customers. The 2010 selling season has cleared up some of these difficulties as Wal-Mart made an agreement earlier in the year to buy bicycles from Raleigh Canada as their main supplier, the bicycles to be made in Quebec, from components imported in a large part from Asia, and appearing under both Raleigh and Triumph brands. This agreement meant that Raleigh would now have more production in their Waterloo factory with the consequent increase in production workers, and that Wal-Mart would be able to make good publicity from the fact that they were both helping the Canadian economy and selling, what is perhaps the most famous bicycle brand in the world. The Canadian Tire Corp. bought Schwinn brand bicycles for 2010 from Pacific Cycles. 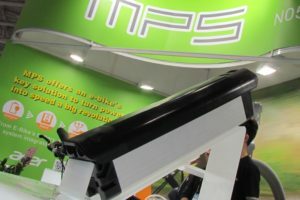 Acquired by Dorel Industries of Montreal, Canada, in 2004, Pacific Cycles sell more bicycles in the USA than any other bicycle supplier; they concentrate on mass merchants with brands such as Schwinn and Mongoose. Canadian Tire would now proclaim that they were buying bicycles through a Canadian company with corporate headquarters in Canada. As a result of this clear separation of bicycle brands for the mass merchants, both Raleigh and Schwinn stepped up their brand awareness campaigns. Dorel Industries continue to go from strength to strength, not only are they supplying the mass merchants, but they are making good progress with the IDBs. The acquisition of Cannondale bicycles and Sugoi clothing, have helped them to enter this market very quickly. The 2010 line of bicycles starts at the top end with professional bicycles as used by the Liquigas Team in the major European races, and now includes some excellent specification but lower priced machines. Dorel’s recent information shows that they have been doing very well with their Recreational/Leisure products this year, and but for some delays in shipments they may have done even better. There are about 2,000 IBDs in Canada and they report on excellent sales for 2010. The total number of sold new bikes at dealers is estimated at about 365,000 units. Trek, Specialized, and Giant are still the big names and between them do an estimated 35% of IDB bicycle sales. Giant in particular caters very well to the Canadian market with their wide range to cover all aspects of cycling, and are excellent quality for the price. Norco in British Columbia and Lambert in Quebec are still the importers with the best selection of parts and accessories for the IDBs. At the end of 2009 there was still a considerable amount of bicycles in warehouses and dealer stores across the country. This led to both retailers and importers being more conservative in their initial orders for 2010. The weather was good and the customers wanted bicycles, there were delays in shipments as parts suppliers had slowed down their production, then containers were in short supply as manufacturers in Asia scrambled to keep up with the demand. On the positive side, importers and dealers were able to clear out some of their overstock in Canada. 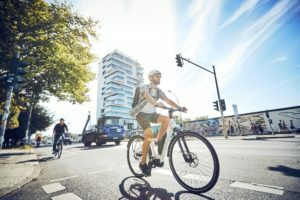 Montreal has been voted the “Most Friendly Bicycle City in North America” There are over five hundred kilometers of good bicycle paths in the city and the number grows daily. Visitors are amazed at the number of bicycles on the streets and the ease of traveling around the city by bicycle. In 2008 the city put out tenders for bicycles for a city wide bicycle rental scheme. ProCycle and Raleigh were both asked to put in a bid, but the contract finally went to Devinci in Saguenay, Quebec. The Devinci Company was founded in 1987 to produce aluminium bicycle frames. It was a small company but insisted on quality work. In 1990 Felix Gauthier as president of Devinci realized the potential for the company with better production methods and research and development. 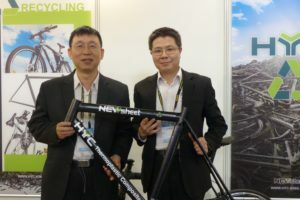 The company grew under his guidance producing quality mountain bike, road racing and touring bicycles, and in 2007 it made its first carbon fiber bicycle. Then in 2009 Devinci unveiled the first Bixi bicycle. The Bixi Bicycle System is now part of everyday life in Montreal. 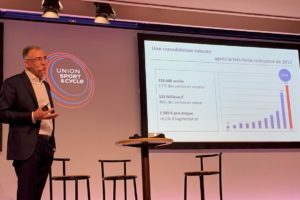 Bicycles can be picked up at a bicycle docking system in strategic parts of the city and rented by the hour either by credit card or a subscription lock. After use it is simply returned to the nearest dock and charges are made to the customer. Today there are over five thousand Bixi bikes in use in the city. The success of the Montreal experiment has lead to other cities adopting this system for easy, inexpensive cycling. At the present time Bixi bikes can be found in Minneapolis, Washington, and Boston, USA, and Melbourne, Australia. In England, London has just acquired Bixi bikes under the TfL (Transport for London) scheme sponsored by Barclays Bank. Toronto, Canada is now investigating the use of Bixi bicycles. This worldwide recognition of Canada’s contribution to a greener planet must surely be acknowledged.